The PRC enticing Airbus to share family jewels through market leverage. Airbus is building up a competitor with eyes wide open. Do we know who else has a billion people market and could (should) do the same? Living in Phoenix and having at least an ear to the aviation scene (if not a firm foothold in it), the chatter says the pilots and crews at Luke are both pleased and constantly surprised at how capable the F-35 really is. Broader public opinion is way off the mark. Zynda wrote: Found this somewhere...thought interesting. Tip of the iceberg. This *platform* will pleasantly surprise many as time goes by. Those that restrict themselves to turning radius and AoA, etc will be "way off the mark". 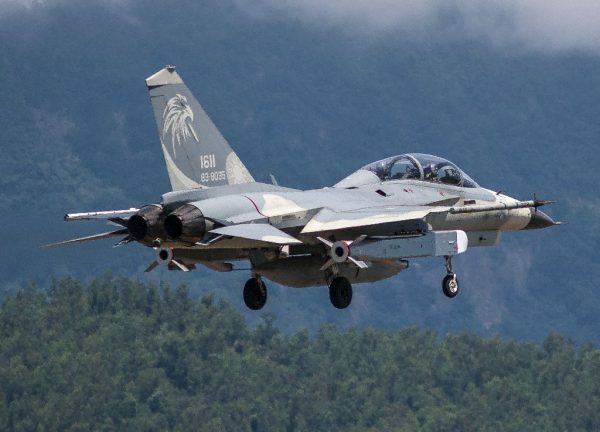 The Taiwanese Air Force is reportedly getting closer to accepting its first four updated F-16V Viper fighter jets, part of a critical upgrade project for the country’s fleet of older F-16A/B aircraft. That program is just one of a number of modernization efforts its air arm is pursuing as it struggles to keep pace with China’s People’s Liberation Army Air Force's developments, which include fifth generation stealth fighters, new missiles, and more. On Dec. 26, 2017, Taiwanese outlet Up Media reported that the Aerospace Industrial Development Corporation (AIDC) had finished converting the initial four F-16Vs and that American test pilots had arrived to test the aircraft. 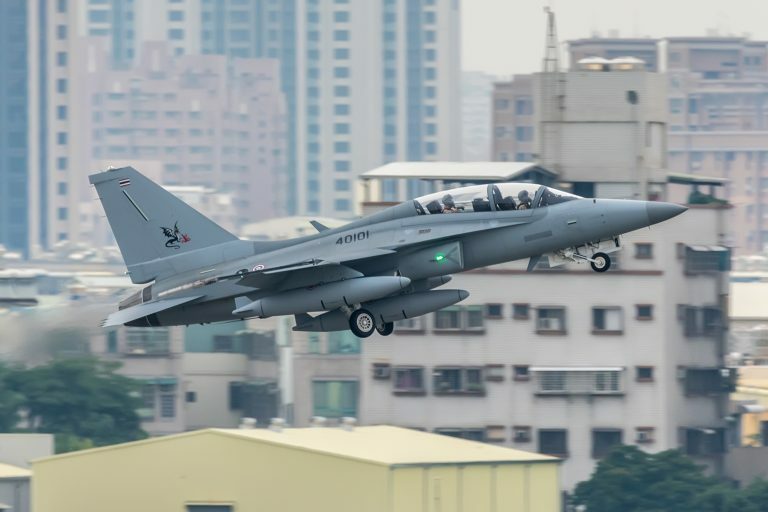 Lockheed Martin, which developed the upgrade package, has been working together with the Taiwanese state-run aviation firm on the project. Flight testing is set to begin in 2018 and the full upgrade program is supposed to wrap up some time between 2022 and 2023. The views of those that operate it, test it, or those that have participated alongside it at one of the many large force exercises it has taken part in over the last couple of years, have always been very positive. Many organizations, and publications have actually spoken with those leading the charge when it comes to pilot training at Luke, or combat tactics development and mission system testing elsewhere have documented these over the years including the turn of the decade when it was at its worst in terms of technical hurdles. You can go right back to the even the basic capabilities that showed up in early block-2 build. Now that full 3F is being released to the fleet those training on the aircraft, or front line squadron pilots will get to employ the full weapons capability, and will have full sensor and electronic warfare capability something they will now get to use on a sim and an actual aircraft. Meanwhile, a fairly detailed update on the industrial aspect of the program (Full article linked below). They are going to be moving from a production rate of 5 a month to more than 7 a month this year. The F-35 undergoes final assembly and checkout at three plants around the world – in Italy, in Japan and in Fort Worth, Texas. The Italian and Japanese lines are low rate production lines whereas the Fort Worth line is the high rate production facility. The Fort Worth line is truly a unique manufacturing facility, which highlights why the aircraft can be built in high volume and why innovation can continue in the future as the line evolves. The line is based on a digital thread manufacturing model and as such can embrace evolving capabilities in the domains of automation as well as the various dynamics of change within the broader digital domain, whether commercial or military. The current plan is to fill out the current manufacturing facility in Fort Worth by 2021 when full rate production is achieved at about 150 aircraft for the year. I last visited the FAL in 2015 and a lot has changed with the ramp up in the past two years.During my visit on September 25, 2017, I had a chance to tour the factory with Don Kinard, an F-35 manufacturing expert. Question: What is the production rate this year? Don Kinard: “There are more than 250 production aircraft in the field currently; there are 160 in assembly production across the globe, and the production rate at the Fort Worth facility this year is roughly five a month. “The plan is 66 aircraft this year; more than 90 aircraft next year; and over 130 in 2019. Question: During the ramp up you are adding new staff. What is planned during that period? Don Kinard: “We have about 1,500 mechanics right now. “We will roughly double that over the next three years. “The mechanics are the touch labor personnel and we will increase the support labor by a few hundred people as well. “During your tour of the training facility, you saw how we are augmenting training. “The key in adding workers is to bring them up to speed prior to entering the assembly line to reduce downtime impact of integrating new workers onto the line. “The mechanics are the main hire, and they’ll be going through three to six weeks’ worth of training on realistic components prior to going to the floor to do the jobs for which they are being trained for. “Finding those mechanics has been something we’ve been working on now for years. “We’ve had several hiring events all over the country. “And we’re even starting to get people who have worked F-35 in the field. “They’re retiring from the military or leaving the service, and we’re now able to get people who actually worked F-35’s out in the bases as well as mechanics new to the program”. Last edited by brar_w on 11 Jan 2018 00:55, edited 1 time in total. ^^Holy moly. 7 aircraft per month. I am aware post-WW2, if any combat aircraft has been manufactured at that rate...simply amazing. Gotta hand it to US MIC. It is not just stealth that makes the F-35 great. It is the F-35's ability to ensure true connectivity within the battle field and connectivity to all other assets that have the ability to see, search, hunt targets and are also able to stream data. The F-35 has instantaneous target information even when out of range, friendly and enemy positions are updated like liquid and unfortunately command coms will be just as good. Basically the F-35 is a natural extension of what the Apache/OH-58 helicopter laid true. None of the above is new information but this jet is impressive even if it not so easy on the eyes. Many combat jet aircraft have been built at that rate and at even higher rates. General Dynamics F-16 production line at Fort Worth (soon to be absorbed into the F-35 line) for example delivered 300 F-16's in 1987 and I don't think that it was the best production year for that program. Having said that, delivering 66 5th generation fighters a year while still in "Low-Rate-Production" is rather impressive given how hard it has been to produce low observable aircraft in the past. Even at 90 aircraft this year they will still technically be in LRIP. By the early 2020s the F-35 program will be delivering the equivalent of the entire combat coded F-22 fleet each year. That type of scale is unlikely to be matched. Last edited by brar_w on 11 Jan 2018 17:33, edited 3 times in total. ARLINGTON, Va. – France is sending 350 sailors and naval aviators to deploy with a U.S. Navy aircraft carrier this spring as their nuclear-powered carrier finishes scheduled maintenance, French officials told USNI News. The April to May deployment will occur just before France’s aircraft carrier FS Charles de Gaulle (R91) is expected to complete a major maintenance period which started in 2015. The aircrews will do carrier qualifications aboard USS George H.W. Bush (CVN-77), but the intent is to accomplish more than qualifications or cross-deck operations, Capt. Jean-Emmanuel Roux de Luze, French Naval Attaché to the U.S. told USNI News. “We want to demonstrate our ability to integrate with U.S. military services,” Roux de Luze said. “We want to show we do maintenance, demonstrate we can load weapons.”French Navy Dassault Rafale M fighters and Northop Grumman E-2C Hawkeye aircraft will at first fly with U.S. airwings out of Naval Air Station Oceana, in Virginia Beach. French sailors will work with their U.S. counterparts maintaining the aircraft, Rouz de Luze said. The unspecified French forces will then board Bush and operate as part of the air wing.While speaking at the Surface Navy Association’s International Navies Luncheon Wednesday, Rouz de Luze, said joint operations build trust among navies by demonstrating each can work with the other. With the U.S. Navy, he said the technology used, procedures, communications equipment are all basically the same.“Today we are 95 percent interoperable,” Rouz de Luze said. “Our concerns in our navy is in 10 years, in 15 years will we be able to work like that.”The U.S. Navy, though, in its push to ensure it is always technologically ahead of any near-peers, is the leader in developing new systems. Rouz de Luze said militarily, the U.S. Navy can go alone. In 2018 Orbital ATK plans to conduct live-fire guide-to-hit trials with an all-up Hatchet air-launched munition, an internally funded effort to develop a 6 lb (2.72 kg) precision-guided weapon. Company officials told Jane’s that, although it has a small explosive charge, Hatchet’s fragmentation aspect is “almost equivalent to a 500 lb bomb”. This is achieved via Orbital ATK’s Lethality Enhanced Ordnance (LEO) that is used for the US Army’s M1061 mortar cartridge and the Guided Multiple Launch Rocket System (GMLRS) Alternative Warhead (AW) solution. LEO technology does not use explosive submunitions, and instead has inert tungsten projectiles that do not leave behind unexploded ordinance. Hatchet has a tri-wing design, with three aft control surfaces and three fixed mid-body wings.Orbital ATK believes it could be used for "scalable lethality". Because of its light weight, many could be loaded to larger aircraft or unmanned system with smaller payload capacity could be armed. About two years ago the company did a captive carry test with a Hatched round on an RQ-21A Blackjack to test the munition on a small unmanned aerial system. Orbital ATK now sees Hatchet as possibly useful for smaller aircraft or even larger bomber aircraft. The idea being to use them as ‘scalable’ weapons – one could be dropped against a lightly protected target, or many dropped against a more hardened target. The company is pitching Hatchet for use from MQ-8C FireScout unmanned rotorcraft, MQ-1 Gray Eagle unmanned aerial vehicles, or on manned EA-18G Growler electronic attack aircraft to strike air defences. As the U.S. Air Force faces a growing pilot shortage, a small team of airmen is looking to revolutionize pilot training by substituting virtual reality for flying time and supplementing human instructors with artificial intelligence (AI). Starting in February, a class of 20 students—15 officers and five enlisted airmen—will begin an experimental pilot training course developed by Lt. Col. Eric Frahm and a small team at the Air Force’s Strategic Development Planning and Experimentation office. The aim is to pin wings on aviators’ chests in six months, or just half the time allotted in the Air Force’s traditional syllabus, Frahm told Aviation Week in a December interview. The first phase of the study will focus on replacing aircraft sorties with commercial-off-the-shelf (COTS) simulators—think ordinary desktop computers and virtual reality (VR) headsets “you can buy at Best Buy” combined with commercially available computer software such as X-Plane flight simulators. By the final phase, Frahm hopes to introduce AI “instructors” that use speech-recognition technology to provide verbal feedback to students during flight. If successful, the study has the potential to transform the way the Air Force does pilot training, and perhaps help stem the acute shortage the service is currently facing. The Air Force is fighting to ramp up pilot production to 1,400 a year, but even this will not be enough to meet future requirements as experienced aviators leave the service in droves (AW&ST Oct. 2-15, 2017, p. 59). By leveraging VR and AI technology, Frahm believes the Air Force stands to increase pilot production capacity by two-thirds, using just half the instructors. To this end, Frahm’s team has replaced just over half the number of flying hours in the traditional syllabus with time in COTS simulators. He estimates this equipment will cost $5,000 a copy, compared to $3-4 million the Air Force typically spends on each Beechcraft T-6 Texan II simulator. The number of flying hours cut out of the syllabus was based on industry research suggesting that COTS simulation can replace flying at a 3:1 ratio, potentially resulting in a 53% reduction in aircraft sorties. Past efforts to use low-cost COTS simulators have stumbled on quality issues. To be usable for flight training, the image generator and display system must have a high refresh rate and low latency, so that the pilot does not perceive a delay between making a control input and the simulated aircraft responding. A refresh rate of 90 Hz is considered the industry benchmark for a VR environment, Frahm says. He is confident the COTS equipment used for the experiment will produce both 90-Hz performance and graphics detail as good, if not better, than most traditional simulators available today—“certainly better graphics than anything I have flown previously.” To meet the 90-Hz benchmark, the team first procured very high-performance desktop computers, and then adjusted the settings within the simulation software to optimize performance and keep graphic refresh rates at or above the headset’s capabilities, he explains. In terms of perceptions of lag, Frahm says there is no difference that he can detect. The experiment will be conducted over three phases, with the first six-month period focused on measuring the transference between the low-cost simulators and the aircraft to answer the question: Can the Air Force get similar levels of performance from the COTS equipment as with standard pilot training? Assuming the first phase goes well, the team will spend the second six-month period tweaking the syllabus to shorten the time line even further. The third phase will introduce AI instructor agents that are programmed to understand typical aircraft maneuvers and use air traffic control commands to actually speak to students, Frahm explains. The agents are being developed jointly by the Air Force and simulation company Discovery Machine, and Frahm hopes to have prototypes ready by early spring or summer. Initially, the AI agent will perform simple tasks such as giving vectors to an instrument landing system and filling in grade sheets—jobs that take a lot of instructional time but do not require much skill or creativity, Frahm says. Eventually the team hopes to pair a human instructor with an AI agent in flight to give students balanced and accurate feedback. Using VR and AI technology, Frahm believes the team can teach four students at once with a single instructor, instead of the one-to-one ratio that features in a traditional syllabus. An instructor pilot will still be present for each flying event. The experiment, directed by new chief of Air Education and Training Command Lt. Gen. Steven Kwast, will take place at a U.S. Army Reserve facility in Austin, Texas. The team plans to buy 30 off-the-shelf simulators and move six T-6 aircraft from Randolph AFB, Texas, for the study. Frahm hopes to complete the T-6 syllabus, normally a 28-week course, in 20 weeks, and spend another eight weeks preparing the pilot for his or her formal training unit. The students assigned to fighters will spend the final eight weeks training in F-16Ds and F-15Es from Air Force National Guard and Reserve units, while those destined for heavy aircraft will fly the T-1 Jayhawk. The team decided against using the T-38 Talon for those on the fighter track because the Talon is a “feel-based” aircraft that is difficult to simulate in a low-cost platform, Frahm explains. A crucial piece of the study will be collecting data about human learning, Frahm stresses. The team plans to embed eye trackers within the VR headsets that can follow the eye’s movement in real time and measure cognitive loads. They will also measure students’ heart and breathing rates. All this information will be input into a database aligned against student performance. “We will begin to be able to watch these students’ learning curves as they progress through the program,” Frahm says. One of the goals is to refine the Air Force’s selection process to choose the applicants that are most likely to stay in the service for the long-term. Including enlisted airmen, who are on average slightly younger than the officer pilot candidates and have not completed college, serves to widen the dataset, Frahm says. Enlisted aviators tend to stay in the Air Force longer than officers, he notes. But he plays down the possibility that the study will open the door to enlisted pilots. So what happens to the enlisted airmen who complete the experimental course? Most likely, the Air Force will send them to fly RQ-4 Global Hawk remotely piloted aircraft (RPA) under the existing enlisted RPA pilot program. Alternatively, they could apply to be an officer, or simply go back to their original career field. Eventually, the team will have sufficient data to begin building an “adaptive” syllabus that will help the Air Force make better teaching and recruiting decisions, Frahm says. “If I see the Chuck Yeager of the world at the end, and I can identify a trait that we saw that was unique to that individual on Ride One, it’s probably reasonable to go looking for that trait out of the general population and say you need a pilot slot,” Frahm says. Select members of industry, academia and government laboratories will also have access to this database, which the team hopes will help them build better applications. Frahm expects that, if the experiment is successful, the Air Force will begin implementing the reimagined syllabus in roughly 12-18 months, a quick turnaround enabled by new rapid acquisition authorities. The budget for the study is still in the works, but Frahm believes it will cost less than $5 million. He hopes the new syllabus will allow the Air Force to drop efforts to outsource some pilot training to universities or commercial companies—a drastic step service leadership is weighing as a way to deal with the pilot shortage. A team of Toulouse-based researchers has made significant progress with morphing wings, bringing the long-sought dream of copying birds on how to achieve aerodynamics closer to reality. Successful wind-tunnel testing on a subscale wing section has convinced Airbus to proceed with full-scale flight trials in 2020. In 2017, the European Commission (EC) began funding an intermediate three-year phase of the Smart Morphing & Sensing (SMS) project, as part of its Horizon 2020 research program. The EC’s support has facilitated construction of an almost full-scale “electroactive” wing section, for evaluation in a low-speed wind tunnel. The method being used by the Insitut de Mecanique des Fluides Toulouse (IMFT) and Laplace Laboratories to morph the wing is to combine shape-memory alloys (SMA) with piezoelectric actuators. Although electrically activated SMAs can be used to produce large displacements at low frequencies, piezoelectric actuators are suitable for high frequencies and small displacements. AFM recently received photos of a Republic of China Air Force (ROCAF) F-CK-1D aircraft carrying a rarely seen stand-off cruise missile. The Indigenous Defense Fighter was seen landing at Taitung during weapons trials on September 25, one of three examples taking part. The base is home to Tactical Training & Development Center (TTDC) that loans aircraft from other units as required. The missile is called the Wan Chien (Ten Thousands Swords) and is produced by the military-run Chung Shan Institute of Science and Technology (CSIST). The conventionally armed weapon broadly resembles the MBDA SCALP/Storm Shadow and the Raytheon AGM-154 Joint Standoff Weapon (JSOW). Powered by a turbojet engine, it is reportedly capable of attacking targets at a range of 240km. Even though the missile has been known about since 2011 and was publicly displayed in 2014, its development has made slow progress due to political constraints. The ROCAF’s fleet F-CK-1A and two-seat F-CK-1B aircraft has recently undergone an avionics and weapons upgrade, bringing them up to F-CK-1C and F-CK-1D standard, respectively. This may include Wan Chien compatibility. The first batch of six aircraft had been completed by June 2011, with all 71 examples scheduled to have received their upgrades by the end of 2012. A medium weight ALCM like the Wan Chien or MBDA Scalp or JSOW is something that is lacking from the IAF's arsenal. Seems like with the experience gained from the Brahmos and Nirbhay programs as well as with SAAW and the other glide munitions that were developed and tested out, that this kind of an ALCM could realistically be developed within a few years of such a program being initiated. Rafale will bring the MBDA Scalp, but we need an indigenous ALCM that could equip the Mirage-2000, Jaguar, Tejas and MiG-29UPG to allow the vast majority of the IAF's orbat in 2020s to be capable of launching ALCMs. This is out of nowhere but if true would be a sea change in the turbofan market dominated by the US-UK-France. A chini-Germany collaboration in jet egines? 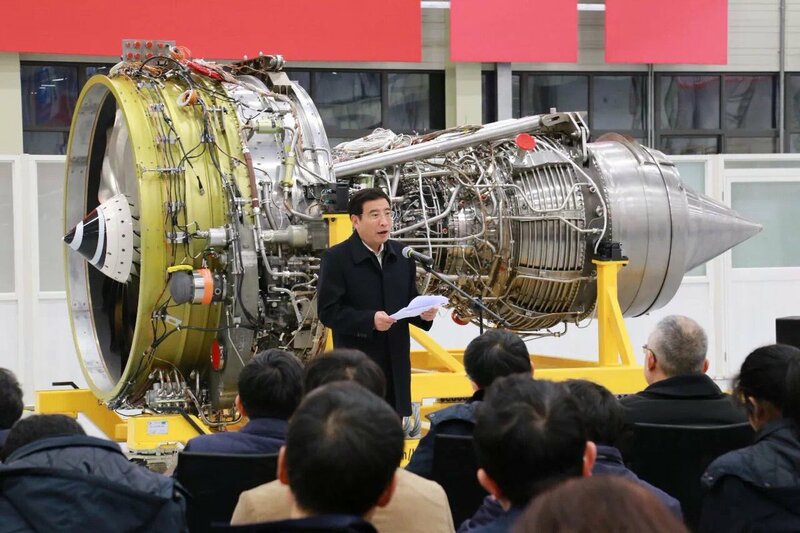 researcher involved in the negotiations said the export of the blade processing machine would be part of wider jet engine collaboration between the two countries. chola wrote: This is out of nowhere but if true would be a sea change in the turbofan market dominated by the US-UK-France. Looks like classic espionage route into Europe. Don't know about other nations but Britain do not allow any non-english blue blood without three generations of parents in armed or defense services to be anywhere near their turbine blade manufacturing plants. Chinese are stopped several kilometers away lol..lasers bores to take great away!! Huh interesting to see how it affects structural integrity of blades and it's fatigue resistance. PRC strong arm tactics at work. This how they get the technology and policies they want. Brutal power politics with the goras. Rachet up pressure on Airbus to gain EASA certification and then on Boeing for FAA. This is what you with a billion-person market. Airbus needs China's blessing on its newest jetliners. And without it, undelivered planes are piling up at its factories in France and Germany. The company wanted to sell nearly 200 more Airbus jets to China this week. But Chinese airlines have yet to take delivery of many airliners they've ordered from the company even though the planes are built. That's because China's aviation regulator has yet to allow deliveries of key Airbus (EADSF) models. Across Airbus's factories in Germany and France, more than a dozen A320neo and A321neos, some that were ready as far back as last spring, have been in storage awaiting final sign-offs from the Civil Aviation Administration of China. About a half-dozen A350s for Chinese carriers are waiting at its main headquarters in Toulouse in southern France. Winning regulatory approval in China, the world's largest airplane market over the next two decades, is crucial as Airbus and Boeing (BA) pin their future hopes on China. Precisely what has slowed Airbus' approvals in China isn't entirely clear. The delays have more to do with politics than technology, say several people familiar with the regulatory delays. The delays are wrapped up in an extended wish list from Beijing that ranges from new safety agreements with Europe to additional production in China. "Jetliner purchases are a continuation of politics by any other means," Aboulafia said. China's ascendant role in aerospace as both competitor and customer gives them unique leverage over Boeing and Airbus. "Their actual buying clout greatly exceeds their market size." And Airbus is clearly making an effort to please the Chinese government. During a visit this week by French President Emmanuel Macron with Chinese President Xi Jinping, the European planemaker announced it would increase production at its final assembly line in the Chinese city of Tianjin from four A320 jets each month to six by 2020. Airbus has even floated the idea of a new industrial partnership with China on the world's biggest jetliner, the A380. Orders are badly needed on that program. China's aviation regulator is considered one of the most methodical and rigorous on the planet. But in the Chinese aerospace industry, much of what happens is linked to the country's long-term ambitions to compete against Boeing and Airbus. "The Chinese are pretty good in building pressure on certain desires they have," said one senior Airbus official. "The Chinese are playing it slow on granting [certification] on any aircraft program, be it Boeing or Airbus." The U.S. and China also signed a new aviation safety agreement last fall after more than 10 years of negotiations. China is in the middle of finalizing a new bilateral aviation safety agreement with Europe that would recognize China's airworthiness standards. That would provide a major boost to Chinese plane makers and suppliers, who want to eventually sell Chinese-made airliners in Europe. China's first direct competitor to Boeing and Airbus's dominant single-aisle jets, the Comac C919, made its first test flight in May 2017. China over the years has asked Airbus to intervene with the European Aviation Safety Agency and the European Commission to help expedite the talks over the aviation safety agreement, say two people familiar with the requests. As the negotiations dragged on, so did the pace of certification. The talks between China and the European Commission were successfully completed in December, according to a European Commission spokesman. The agreement is expected to be signed in June, which the Commission says it expects will help advance certification for "European aviation products" in China. Overall, the chinis are very close to the pinnacle on emgine, me thinks. They are behind only the other four P5. Germany (along with Japan) is at the cusp. Germany paired with Cheen will get them both onto the top. Check out the pressuring of Airbus in my post above. We will see Chinese engines on Airbuses soon enough. Performs very well. West has been doing it for ages, Chinese seem to have caught up. West has moved on to additive techs, which is far superior. India has deployed additive techs in the medical field (spinal framework), but I do not think it has been deployed yet it in aerospace. Nonetheless, this Chinese effort is great - tech wise. This is a rapidly progressing development and should be useful against the large "cheap UAS" that can be a nuisance to swat own with expensive interceptors. DARPA's MF is looking to add full up seekers on 30 mm and 40 mm rounds and the two development programs (Lockheed and Raytheon) should demo their products by 2021-2022 or so. Orbital ATKs command guided rounds which they are developing on their own will likely be ready ahead of that as the US Army is looking to buy 10-20 modified Strykers for immediate deployment later this year (specifically in the C-UAS configuration). A Stinger costs roughly $40,000. The proximity fuse variant likely a bit more. If you can get the cost of a kill using the new command guided round down to a 10 th of that using you are moving in the right direction. Orbital ATK is developing a range of new advanced medium-calibre ammunition variants for use with its 30/40 mm calibre MK44 XM813 and 30 mm calibre lightweight XM914 Bushmaster Chain Guns. The new ammunition types – command-guided, proximity fuze, and air burst – are intended to deliver enhanced capabilities for a wide range of land and air combat platforms. Development of the 30×173 mm command-guided round leverages technologies evolved by Orbital ATK for the US Defense Advanced Research Projects Agency (DARPA) Extreme Accuracy Tasked Ordnance (EXACTO) programme. The EXACTO effort has resulted in a guided .50 calibre round – equipped with real-time optical sensors and aero-actuation controls – that improves sniping performance in long-range, day/night engagements. The EXACTO system combines a manoeuvrable bullet with a complementary laser designator-equipped fire control system (FCS) to compensate for weather, wind, target movement, and other factors that can reduce accuracy. The sniper uses the laser designator to determine and track the target. Once fired, actuators inside the bullet – which can correct its movement up to 30 times per second in flight – receive data from the optical sensor to guide it to the target. For the new 30×173 mm guided round, the target is locked with a radar sensor, while a networked FCS delivers updated course correction and target information via a data-link to an unspecified command guidance sensor located in the back of the munition. “It’s a one shot, one kill capability in one round,” Tim Strusz, Director Business Development, Precision Weapons at Orbital ATK told Jane’s . “In terms of operational cost effectiveness, the round pays for itself with a single shot,” he added. Strusz said that Orbital ATK will demonstrate the command guidance technology in a larger calibre round in December; the 30 mm guided round will undergo extensive testing during 2018, with firing trials of an all-up round scheduled to follow thereafter. In parallel, the company is also developing a proximity fuzed 30×113 mm round for the M230LF Chain Gun. The round will provide the weapon with a next-generation air bursting solution. This effort will be integrated into the M230LF kinetic kill capability – which, combined with the electronic attack capability of the Blighter AUDS counter-unmanned aircraft systems (C-UAS), was demonstrated as an integration on an US Army Stryker 8×8 infantry carrier vehicle at White Sands range in New Mexico in September. Orbital ATK will conduct a C-UAS demonstration in December 2017 with an all-up round, while qualification of the round is expected in 2018. Development, integration, and qualification of both the guidance and proximity fuze technologies are supported through internal research and development (IRAD) funding. Strusz said that the development roadmap for the 30×113 mm round will lead to the integration of both technologies in a single round, significantly enhancing the M230LF/AUDS system in the C-UAS role while delivering enhanced stand-off survivability. He added that both technologies will also be migrated to Orbital ATK 40 mm munitions for use with the XM813 Bushmaster Chain Gun. Beyond these current initiatives, ATK Orbital is also considering an individual technology insertion of the command guidance solution to the 30×113 mm round to augment its one-shot kinetic kill capability. Separately, is expecting internal qualification of its 30×173 mm MK310 (MOD 1) Programmable Air Bursting Munition (PABM) round by the end of 2017. Using IRAD funding, the company has conducted a series of successful tests and internal demonstrations of its MK44 cannon with PABM ammunition to defeat UAS platforms in a tactical scenario. The company has also delivered PABM rounds to the US Army for qualification on the upgraded 2nd Cavalry Regiment Stryker vehicles, which are equipped with the Kongsberg Protector MCT30 medium calibre turret and the Orbital ATK XM813 Bushmaster cannon. The 2nd Cavalry is being equipped with PABM-capable cannons to take advantage of the new ammunition. Orbital ATK Armament Systems Division is also qualifying a family of 40 mm ammunition including Target Practice-Tracer (TP-T), High Explosive Incendiary-Tracer (HEI-T), Armour Piercing, Fin Stabilised, Discarding Sabot-Tracer (APFSDS-T), and PABM for its MK44/XM813 Bushmaster Chain Gun. This effort is expected to be completed by the first quarter 2018, an Orbital ATK spokesperson told Jane’s , adding that qualification is being conducted internally to NATO standard. Technological insertions of these advanced ammunition types are intended to rapidly introduce advanced capabilities to existing land, air, and sea-based weapons platforms. For example, technological breakthroughs such as command guided munitions will bring new capability to the F-35 Lightning II Joint Strike Fighter and AC-130 gunship. 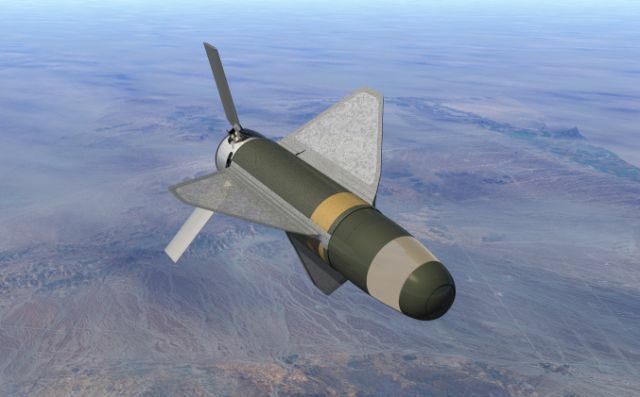 Programmable air bursting munitions and proximity rounds will increase the kinetic kill capability to counter UAS while ground combat vehicles will benefit through the greater effects these new rounds provide against troops in defilade as well as lightly protected structures and soft-skinned vehicles. There are two Strker configurations for the C-UAS role, one pictured below with the Liteye system comprising of an Electro-Optical system, a Radar, and an Electronic Warfare disruptor along with the 30 mm cannon which is networked with the Liteye mission system. The second Stryker configuration has the gun, an Electronic Warfare and Surveillance system and the High Energy Laser and its mission systems. This too as I have mentioned in the past shot down dozens of class-1 and 2 UASs. At the moment this has a 5 kW HEL with plans to up this to 10 kW and then eventually 50kW in the 2020s once the Syrker power generation and electrical architecture is changed.. The Baseline Stryker upgraded with the new 30 mm Bushmaster is now in service in Europe with the 2nd Cavalry Regiment. ^ Good luck tracking, and targeting aircraft using EO mounted on Satellites amidst active denial measures in place. If it comes to this as one method then Low Observable technology is doing its job. US fastest spy plane could be back at speeds of Mach 6. For years, Lockheed Martin Corp. has been developing a successor to one of the fastest aircraft the world has ever seen, the SR-71 Blackbird, the Cold War reconnaissance craft that the US Air Force retired almost three decades ago. Lockheed officials have said the hypersonic SR-72—dubbed the “Son of Blackbird” by one trade journal—could fly by 2030. But a rather curious talk last week at an aerospace conference by a Lockheed Skunk Works executive implied that the SR-72 might already exist. 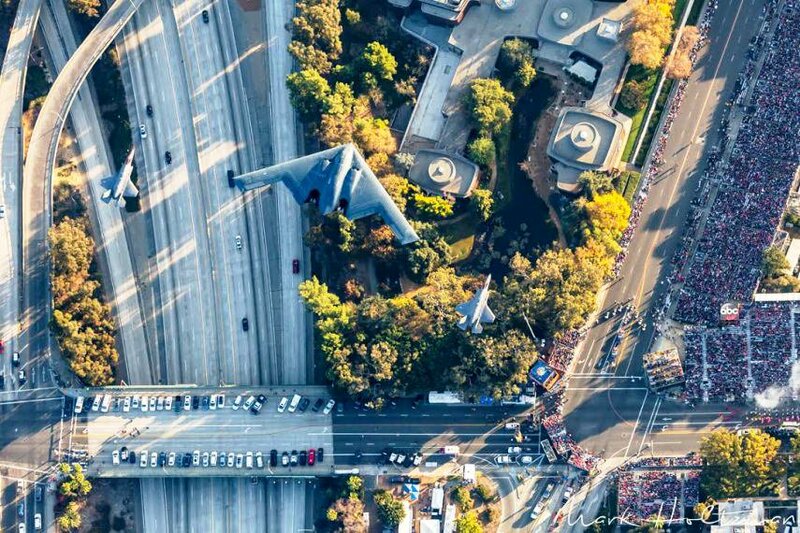 Referring to detailed specifics of company design and manufacturing, Jack O’Banion, a Lockheed vice president, said a “digital transformation” arising from recent computing capabilities and design tools had made hypersonic development possible. Then—assuming O’Banion chose his word tense purposely—came the surprise. Computer processing power and new tools allow for three-dimensional design of a scramjet engine, O’Banion said at the American Institute of Aeronautics and Astronautics’ annual SciTech Forum near Orlando. (Scramjet refers to engine combustion occurring at supersonic speeds, which adds to the engineering complexity.) Adding a little Hollywood to an engineering presentation, O’Banion likened the digital advances in 3D-design to the build process Tony Stark employs in the film Iron Man. “There’s probably a big distance between prototype development and actual operational capability,” said Richard Aboulafia, a defence analyst with Teal Group. And the military has a history of publicly revealing new advanced aircraft many years after their prototypes were delivered. Nevertheless, the SR-72 work could be an entirely digital exercise to date, funded by ample “black budget” appropriations stretching into the billions of dollars over time, Aboulafia said. It’s also possible that any hypersonic capability may well be incorporated into a new type of long-range missile before an actual aircraft. Still, there are myriad design challenges involved with hypersonic projects, Aboulafia said, likening scramjet engineering hurdles to “the proverbial lighting of a match in the hurricane.” This is one reason no hypersonic aircraft are in military service today—although US officials have expressed concern about Chinese and Russian ambitions employing the technology. For the Pentagon, such speeds would represent a new form of strategic deterrence in the sense that a hypersonic bomber could penetrate an enemy’s airspace, fire and depart before that nation had time to react. However, Aboulafia noted, such a capability could also be considered a destabilizing development if a US adversary decided to react preemptively to such an aircraft’s existence. The specific need is also unclear, given advances in satellite surveillance capabilities and the planned B-21 Raider, a precision bomber from Northrop Grumman Corp. expected to replace the Air Force’s aged fleet of B-1 Lancers adn B-52s. The B-21 could cost as much as $97 billion for production and maintenance of at least 100 planes, with the first expected in the mid-2020s. ^This is the second time they have dropped hints like this. A few months ago, Aviation Week reported that a new, unknown aircraft was being tested at their Palmdale facility. As the U.S. steps up research and development for hypersonic weapons, DARPA has awarded Aerojet Rocketdyne a contract to demonstrate a turbine-based combined cycle (TBCC) engine that could power a reusable high-speed aircraft from takeoff to beyond Mach 5. The award comes amid reports that Lockheed Martin’s Skunk Works is making progress toward flying an F-22-sized, TBCC-powered flight research vehicle by 2020 as a precursor to the larger SR-72 high-speed aircraft proposed for the late 2020s. DARPA’s Advanced Full Range Engine (AFRE) program differs from previous hypersonic TBCC development efforts in that it combines an off-the-shelf turbine engine with a dual-mode ramjet/scramjet (DMRJ). Previous programs required an unproven high-Mach turbojet in an attempt to bridge the gap between the highest speed at which a turbine engine can operate and the lowest speed at which a ramjet can take over. Conventional turbojets can operate up to around Mach 2.5, but ramjets cannot operate effectively much below Mach 3.5. AFRE revisits ground DARPA wanted to cover in the Mode Transition (MoTr) program launched in 2009, but which was terminated before ground tests planned for 2012. MoTr was intended to demonstrate TBCC mode transition from turbojet to ramjet to scramjet, from zero airspeed to Mach 6 and back. The program was to use a turbojet capable of reaching Mach 3-4 before transitioning to the DMRJ. The technical challenge of AFRE involves extending the operability of the conventional turbine engine up to higher Mach number and the operability of the DMRJ down to lower Mach number to enable mode transition. The engines will share a common inlet and nozzle, with the turbine “cocooned” at high speed and then restarted once the hypersonic vehicle slows down for return to a runway landing. As per DARPA's documentation, the FY18 (that extends till September, 30 2019) objectives of AFRE are to initiate testing of the inlet, and full scale combustor, to complete fabrication of the full scale nozzle, and integrate the full scale nozzle with the off the shelf turbine. So a full up AFRE system could begin ground testing as early as late next year. ashish raval wrote: Looks like classic espionage route into Europe. If they really have technology why don't they test this on their own version of Airbus or Boeing that they aim to replicate? If one can crack manufacturing of crystal blade what is there in compressor technology that they cannot do!! with technology to land on Moon being demonstrated..I think they may have large gameplay of knowing where everyone is and perhaps espionage too. They tried infiltrating RR with tons of uni. Students and professors without any luck and now they are trying same thing with Germany. Yes, agree if Safran/GE is in the mix they may crack the nut Safran got lot of knowhow by collaborating with GE via CFM. ^^^ They are going put an engine, CJ-1000A, on their A320 class C-919. Once this happens, even if only for the chini market, it will break the monopoly in a big way because the PRC market will be the biggest going foreward. I posted about this earlier. Again, Germany is on the outside looking in. Commercial high-bypass turbofans are really an Anglo-American monopoly because as you noted even France produces airliner engines through CFM which is a GE/Safran JV. The Russians and Japanese have their niche home markets. I am sure the PRC has espionage and tech transfers in mind in any deal with Germany but it does make sense that the two of them on the cusp might collaborate to break the monopoly. I know fighter pilots are always consider more daring and bold compared to civies... but during recent code red storm in Germany and neighboring countries... have produced some incredible landings of civilian jetliners by civies... This one is from Dusseldorf which is (in)famous for its crosswinds under normal condition but these are during a hurricane. Washington: American aerospace and defence major Lockheed Martin has proposed to manufacture custom-built F-35 fighter jets in India, which its officials say will give Indian industry a unique opportunity to become part of the world's largest fighter aircraft ecosystem. "We plan to introduce two new words into the lexicon of international fighter aircraft manufacturing - 'India' and 'exclusive'," Vivek Lall, vice president, strategy and business development, at Lockheed Martin Aeronautics told PTI in an interview. Lall, an Indian American who last year was instrumental in the decision of the Trump administration to sell top-of-the-line unarmed drones from General Atomics, in his previous capacity. Many of the systems used on the India-specific platform are derived from key lessons learned and technologies from Lockheed Martin's F-22 and the F-35, the world's only operational fifth-generation fighters, he said. Northrop Grumman's advanced APG-83 Active Electronically Scanned Array (AESA) radar on the F-16 Block 70 provides F-16s with fifth-generation fighter radar capabilities by leveraging hardware and software commonality with F-22 and F-35 AESA radars, he added. The APG-83 radar shares more than 95 percent software commonality with the F-35 radar and more than 70 percent hardware commonality. Lall said the F-16 provides the path to business relationships with Lockheed Martin, the only company in the world that has designed, developed and produced operational fifth-generation fighter aircraft. Even with the addition of targeting systems and two 2,000 pounds (lb) class Joint Direct Attack Munitions (JDAMs), the aircraft has a mission radius exceeding 1,300 kms 30 percent greater than that of its closest competitor, he said. The C-919 will compete against the (regional) 737 which is Boeing's bread and butter. India is stuck at the level of screwdriver assembly and killing domestic aircraft programs. EASA-FAA cooperate with each other on aviation regulations and without their certification on Engine Security, no plane can land in Europe, US. Canada etc. There is now way they will certify Chinese Maal for their markets, not especially when they lose big $$ to China. Euro Zone , America, Japan, Russia and Indian aviation market will remain out of China's reach. Prem wrote: EASA-FAA cooperate with each other on aviation regulations and without their certification on Engine Security, no plane can land in Europe, US. Canada etc. There is now way they will certify Chinese Maal for their markets, not especially when they lose big $$ to China. Euro Zone , America, Japan, Russia and Indian aviation market will remain out of China's reach. China is using the threat of access to its internal market to gain entry for China made aerospace products into western countries. China is trying to secure FAA approval for sale of the C-919 in America. It will be a competitor to regional medium capacity planes like Boeing's 737, Bombarier C-Series and Airbus 320. Unlike the C-919 which was made using involvement of western companies, their plans for the C-929 is to mostly create it in China thereby building up the entire eco system of suppliers within their country. Perhaps only relying on GE as the engine supplier for now. Their plan for emergence as an aerospace power is very well thought out, unlike India where planners are incompetent and there is no plan. Both Boeing and Airbus are going to be blindsided by China within 10 to 15 years. Raytheon is preparing for another consequential intercept tests of its newly developed Standard Missile-3 (SM-3) Block 2A exoatmospheric interceptor, with plans to launch it against a ballistic missile target from the U.S. government’s Aegis Ashore testing complex on Kauai, Hawaii. With an extended federal government shutdown averted, at least for now, the Pacific Missile Range Facility will likely press ahead with the missile trial by the end of March. In a recent interview at the Surface Navy Association’s annual gathering in Washington, Raytheon SM-3 Senior Program Director Amy Cohen confirmed that the test was planned for the first quarter of this year, although any further lapse in government funding would probably impact that schedule. The previous two tests were launched from an Aegis ballistic missile defense ship, the USS John Paul Jones, but this one will take flight from the land-based Aegis Ashore facility. The site uses essentially the same hardware as an Aegis Combat Ship, such as the S-band SPY-1 radar and vertical launch tubes. The intercept test will demonstrate the missile’s ability to destroy an incoming threat, expected to be a mock intermediate-range ballistic missile. Like the previous tests, this will be one interceptor against one target. The test is designated Flight Test Mission-29 (FTM-29) and if successful it will mark another major milestone for the joint U.S./Japan missile program. Raytheon has already begun limited production of the first 17 mission-ready interceptors, with two of those almost ready for delivery. This test is particularly significant since the SM-3 Block 2A is a baseline armament for the Aegis Ashore site being established in Poland. Poland is the second nation after Romania to host an Aegis Ashore site under the Obama administration’s European Phased Adaptive Approach (EPAA) ballistic missile defense initiative. “It’s a real inflection point for this program,” adds William Blair, vice president for business development at Raytheon’s air and missile defense systems division. Paying very close attention to this test will be Japan, which wants to install two land-based Aegis Ashore interceptor sites to protect itself against North Korean ballistic missiles. Those facilities will almost certainly be armed with SM-3 Block 2As, as well as the Japan Maritime Self-Defense Force’s six planned guided missile destroyers, the Kongo- and Atago-class vessels. Japan has been involved with the project since the beginning, working cooperatively with the U.S. Missile Defense Agency (MDA) to develop the supersized interceptor. The missile is far more energetic than the latest SM-3 Block 1B, owing to its “full caliber” 21-in.-diameter solid rocket motor. Any success with the Block 2A’s improved kill vehicle also reduces risk for MDA’s Redesigned Kill Vehicle program, since they share the same optical sensor and discrimination algorithms. Japan’s Mitsubishi Heavy Industries is producing the second- and third-stage solid rocket boosters, nosecone and other components as a top-tier supplier to Raytheon. Japan plans to buy four SM-3 Block 2A interceptors initially, probably for testing. MDA won’t confirm exactly when it will conduct the FTM-29 intercept test for security reasons. China typically sends one of its ballistic missile tracking ships out to the Pacific Ocean to gather telemetry data. Russia and North Korea probably also send spy ships to keep score. The SM-3 Block 3A has so far conducted four flight tests, two against live targets. The first intercept test occurred on Feb. 3, 2017, against a medium-range target. The second intercept test on June 21, 2017, technically failed, but not due to any fault of the missile. Reports say the interceptor self-destructed in flight because a sailor accidentally pressed the wrong button, identifying the incoming target as a friend instead of foe. Cohen does not anticipate having to try again. “No, the government has not made any indications we’re going to re-run that test,” Cohen explains. “The missile performed exactly as it was designed to. We’re rolling on as scheduled independent of that anomaly. Some of these South East Asian nations are truly strange. They want to have variety of suppliers, both Russian and Western, perhaps to avoid a situation where sanctions will ground the entire air force. But ordering different types in such small numbers and then maintaining them just doesn't make much sense from a logistics and training POV. the Indonesian Air Force, which is very close to signing up for 11 Su-35s from Russia, is now talking to suppliers from the West for another squadron or 2 of fighters. Typhoon, F-16V currently being looked at, and likely to expand to include Rafale and Gripen E as well. As of now, they operate a mix of Su-27 and Su-30s, plus F-16 A/Bs and upgraded ex-USAF F-16 Block 25s. KUALA LUMPUR—Indonesia is in talks with western manufacturers about a possible fighter order and is considering the Eurofighter Typhoon and Lockheed Martin F-16V, according to two industry sources in the country. The Saab Gripen and Dassault Rafale also are likely to be candidates, since the manufacturers of both of those fighters have offices in Jakarta. The number of fighters under consideration is not known but some multiple of 16, the usual size of an Indonesian fighter squadron, is likely. The air force prefers the F-16 because it already operates that type, another industry source says. Both sources are closely connected to the military. Lockheed Martin has proposed the F-16V version of its fighter with the Pratt & Whitney F100-PW-229 engine, the second source says. Since the Indonesian Air Force’s current 32 F-16s have similar engines in the F100-PW-200 series, Lockheed Martin’s propulsion proposal would further reduce training and logistics costs. Adding to this, Lockheed Martin in presentations to Indonesian Air Force and government officials says the current aircraft—23 newly refurbished F-16C/Ds and nine F-16A/Bs—could be upgraded to the V standard by installing new radars and avionics. 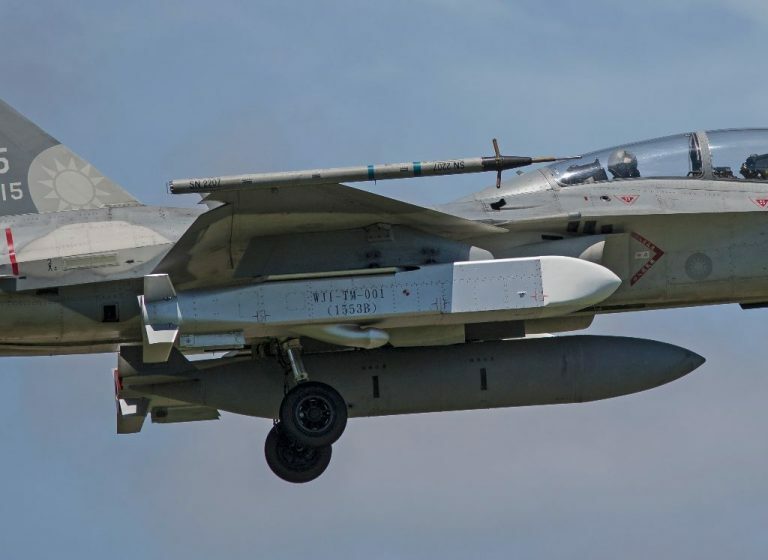 Missiles, bombs and targeting pods purchased for current F-16 fleet also would be compatible with the newer variant, again reducing procurement costs, the company has told Indonesian officials. Some of the F-16A/Bs may not be operational. The air force is supposed to have 180 fighter jets in 2024 under a plan introduced in 2007 called Minimum Essential Force, but little progress has been made toward that target. It has 48 now and plans to order 11 more—Sukhoi Su-35s. A requirement for Western fighters is unlikely to affect the impending Su-35 order. It should be quite close to signature, since the new chief of the air force, Air Marshal Yuyu Sustina, says he hopes the contract will be concluded this month. Also, the Su-35 has the advantage that the Indonesian armed forces, stung by a U.S. arms embargo two decades ago, insist on sourcing some fighters from non-western suppliers. Since the choice of the Su-35 in 2015 to replace F-5E Tigers meant a non-western deal was in the works, the western manufacturers kept marketing their fighters in Indonesia; they were looking to the next order. They have had a presence in Indonesia since 2014 when the country launched the competition to replace its F-5Es. In July 2017 Indonesia said it would pay $1.14 billion for the Su-35s. Of that sum, $570 million would be paid by exporting a variety of products to Russia. Another 35% would be paid through an offset program, However, contract signature has been much delayed. Apart from the F-16s, the fighter fleet consists of older Flankers: 16 Su-27s and Su-30s. The last of the upgraded F-16C/Ds, locally designated F-16IDs, arrived on Jan. 18. The F-5Es have been retired. About the Indonesia F-16 Block 25s whose last delivery was only completed recently. The Indonesian Air Force (TNI-AU) received the last six of 24 refurbished former U.S. Air Force Lockheed Martin F-16C/D Fighting Falcons this month. Separately, the Indonesian Army (TNI-AD) is mulling a buy of Boeing CH-47 Chinooks, having taken delivery of the first three of eight new Boeing AH-64E Guardians on December 18 . The F-16 acquisition project is named Peace Bima Sena II and started in 2011 when the TNI-AU agreed to acquire 19 F-16C Block 25s and five F-16Ds. The mothballed F-16s were refurbished and upgraded to Block 52 ID standard by the Ogden Air Logistics Complex in Utah. It was reported that each airframe took 15,000 man-hours to complete. The upgrade includes Northrop Grumman AN/APG-68(V) radars; MMC-7000A version M-5 modular mission computers; Link-16 datalinks; AN/ALQ-213 electronic warfare management systems; and ALR-69 Class IV radar warning receivers. The upgrade also included certification for AIM-120 AMRAAM missiles and AN/AAQ-33 Sniper or AN/AAQ-28 Litening targeting systems. At the delivery event, Iswahjudi airbase commander First Marshal Samsul Rizal said that the F-16C/Ds are expected to operate for another 20 years. He added that pilots from the TNI-AU’s F-5E squadrons are now being posted to the KAI T-50 and becoming instructors in other units. The F-5Es are slated to be replaced by the Sukhoi Su-35. "We are still awaiting the results of the final discussion on the signing of the Su-35 contract, but in principle, all facilities and personnel are ready to receive the Su-35,” Samsul told Indonesian media. RAAF's attrition record with its Mirage-3s. Eye opening, considering how the MiG-21 has been vilified and maligned by the Indian media over the decades. What happened to the 116 RAAF Mirages? 50 were exported to Pakistan; A3-2, 5, 6, 9, 10, 11, 12, 13, 15, 17, 19, 21, 22, 23, 24, 25, 27, 31, 33, 34, 35, 38, 39, 49, 53, 54, 56, 60, 62, 65, 68, 71, 73, 81, 83, 84, 86, 87, 88, 93, 96, 99, 101, 103, 104, 108, 110, 111, 112 and 113. 10 were scrapped or converted to components. Plus 2 aircraft that are included above as losses were later restored to static display standard; A3-16 and 36.